Lebanese President Michel Aoun is expected to meet with Russian President Vladimir Putin today in Moscow to discuss a number of issues, including bilateral relations and the Syrian refugee crisis. 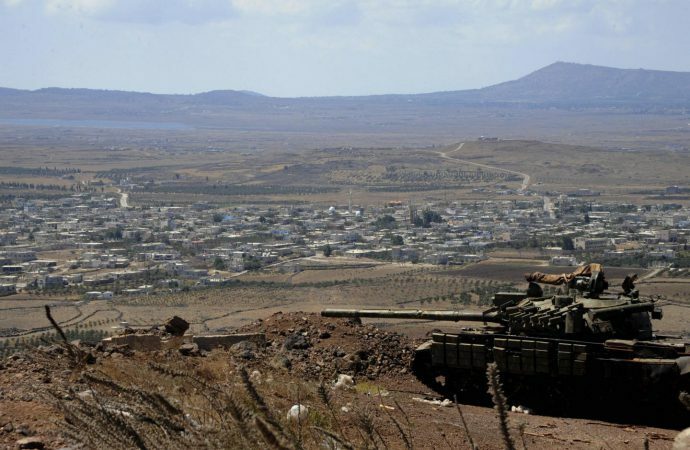 However, discussions today will likely pivot to the recent US decision to unilaterally recognize Israeli sovereignty over the long-contested Golan Heights region. The Golan Heights have been occupied by Israel since 1967, when it seized the territory from Syria. Among other countries, both Russia and Syria have deemed the US move illegal. Russia has cited the 1981 UN Security Council Resolution 497, which declares the annexation “null and void and without international legal effect.” Syria has pledged to recover the area “through all available means”. Lebanon has not yet denounced US recognition of the Golan Heights as pointedly as Russia has. As demonstrated by Secretary of State Mike Pompeo’s recent unsuccessful attempt to gain strong condemnations of Hezbollah from Lebanese leaders, it is unlikely the influence of the United States will be enough to encourage Lebanon to accept the US declaration. Indeed, the US recognition of the Golan Heights will only intensify or further stalemate the dispute over the territory.